Character Dining - Table Service | Click on any image to view larger. 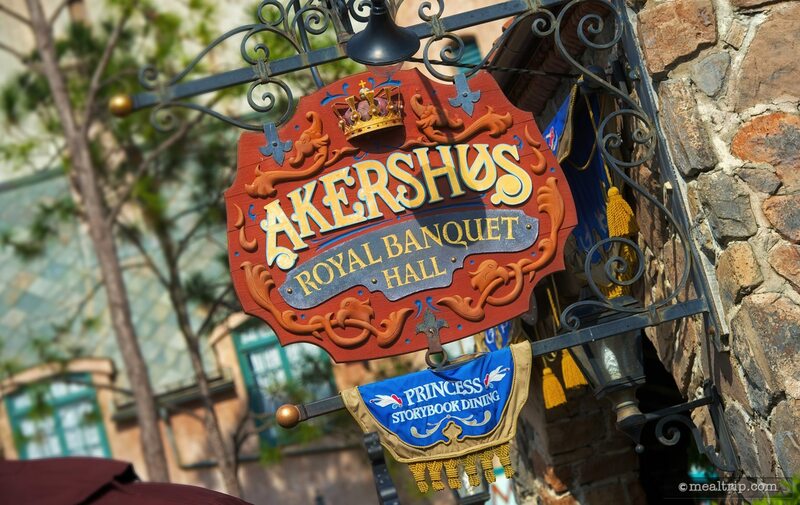 The Akershus Royal Banquet Hall Breakfast listing is a Character Dining - Table Service dining location at Epcot featuring Norwegian cuisine. There are 22 photos in the Mealtrip photo gallery for this location and dining period. 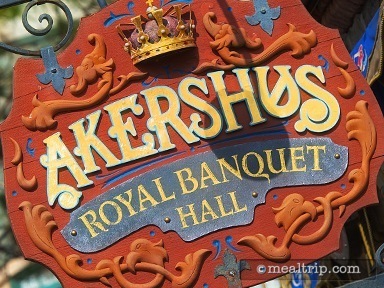 The Akershus Royal Banquet Hall Breakfast listing currently has a score of 68 out of 100. 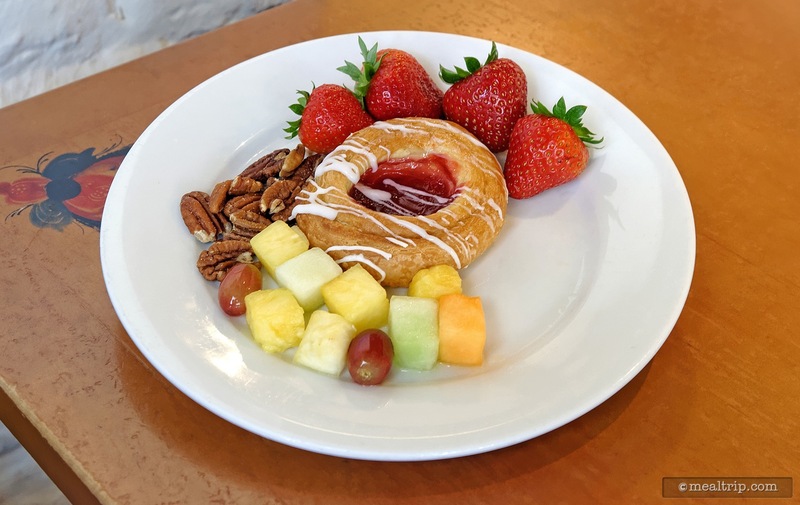 Click here to read all of the reviews for this location, or log in to Mealtrip.com to add your own review for Akershus Royal Banquet Hall Breakfast. 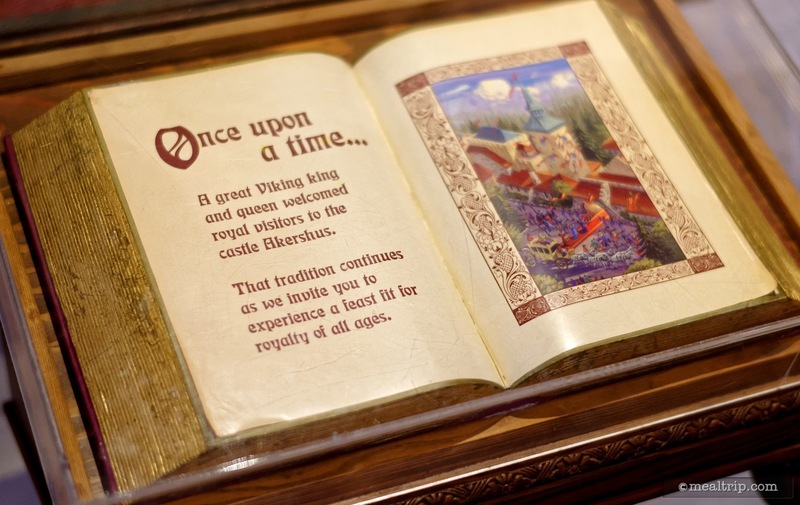 There is an actual "storybook" under glass located just after you enter the medieval castle. 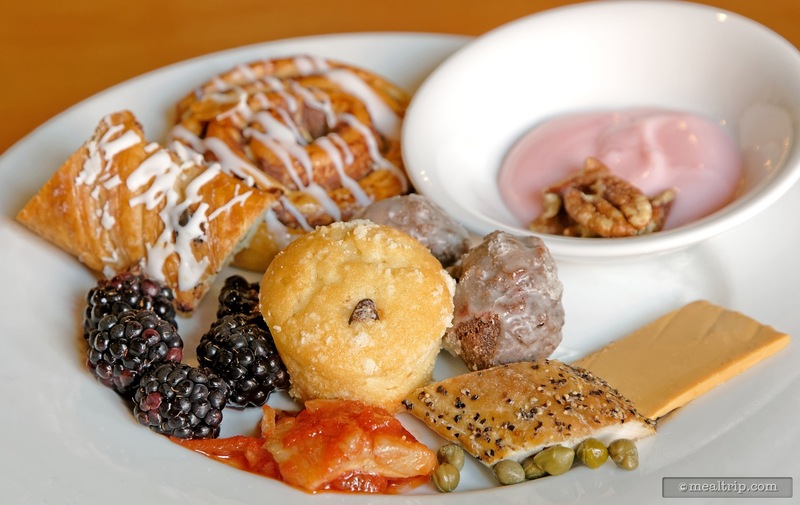 A plate of goodies from the buffet area during an Akershus breakfast including yogurt with pecans, fresh baked goods, and some Norwegian items like Peppered Mackerel, Tomato Herring, Capers and Gjetost Goat Cheese. 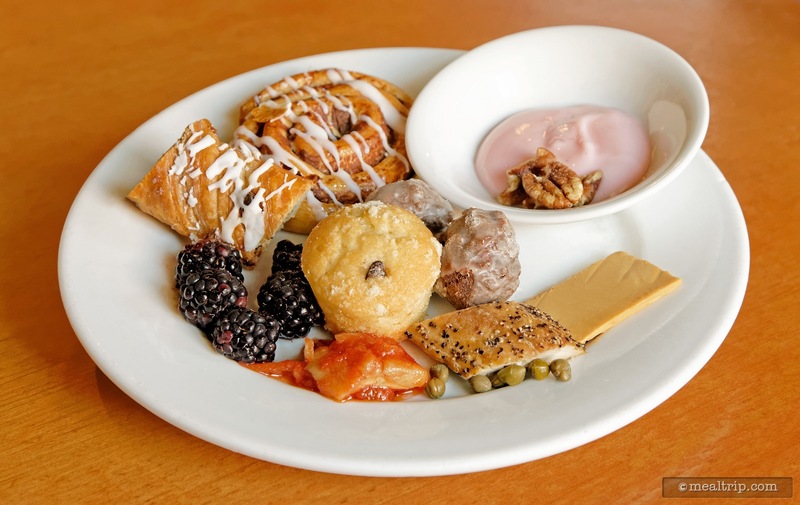 A closer look at some of the breakfast items available from the buffet at Epcot's Akershus Royal Banquet Hall Breakfast. 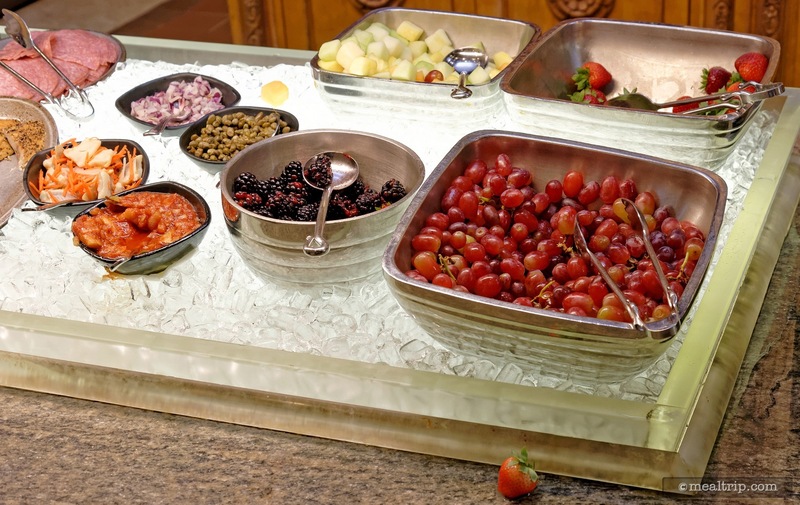 Fresh diced and whole fruits are available at the buffet tables during breakfast at Akershus including strawberries, diced melon and pineapple, whole pecans, and a cherry danish... which can be considered "fruit" when you are on vacation. 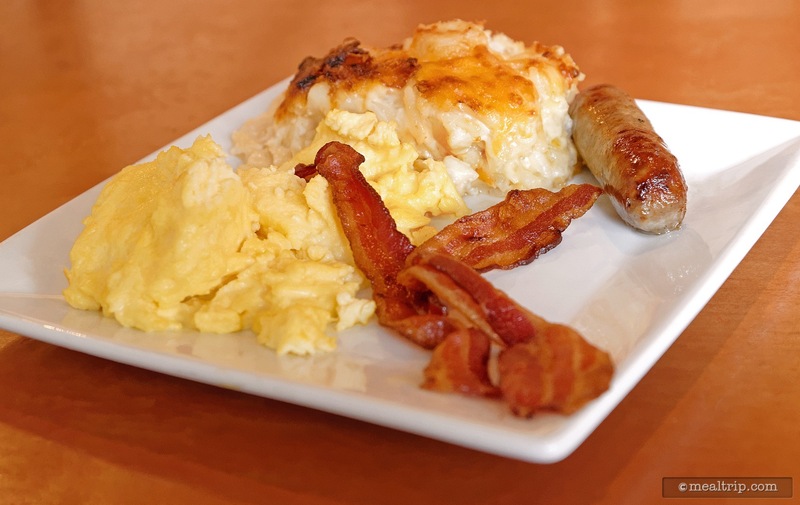 The "hot" items at breakfast are served table-side and family style. 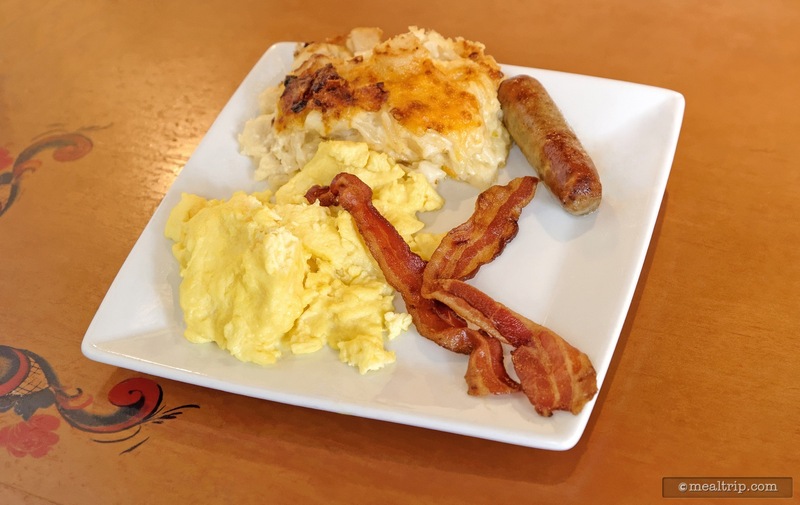 If you want more eggs, bacon, sausage, or the famous Akershus Potato Casserole, just ask. They will keep bringing food until you can't eat any more! 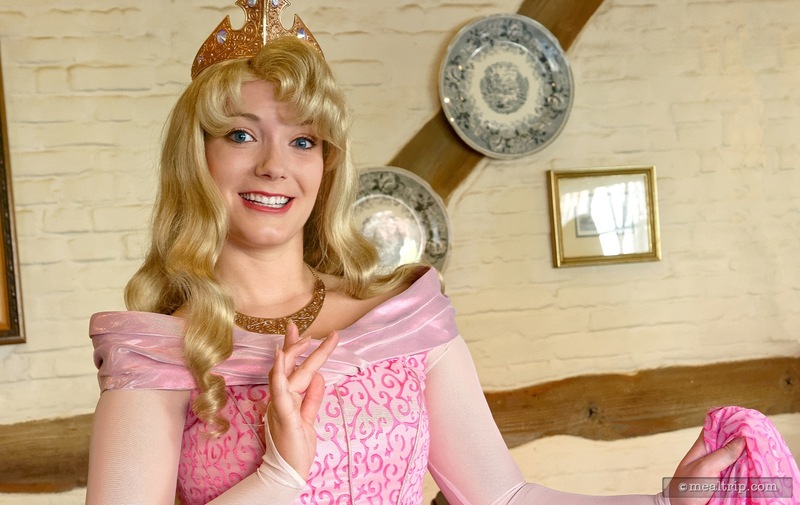 A closer look at the "all you care to enjoy" hot plate that is served family-style at Epcot's Akershus Royal Banquet Hall Character breakfast. If you want more bacon, just ask! 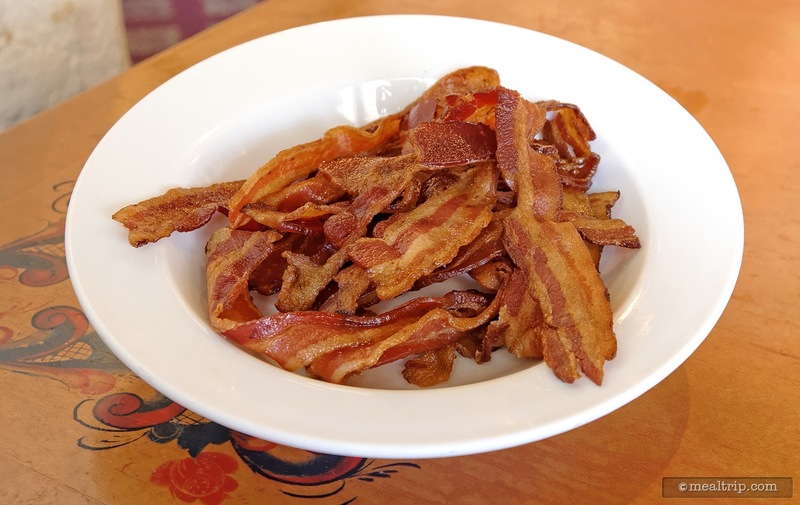 This gorgeous bowl full of bacon was delivered when I asked if I could have just a bit more. Akershus portion sizes are plentiful. 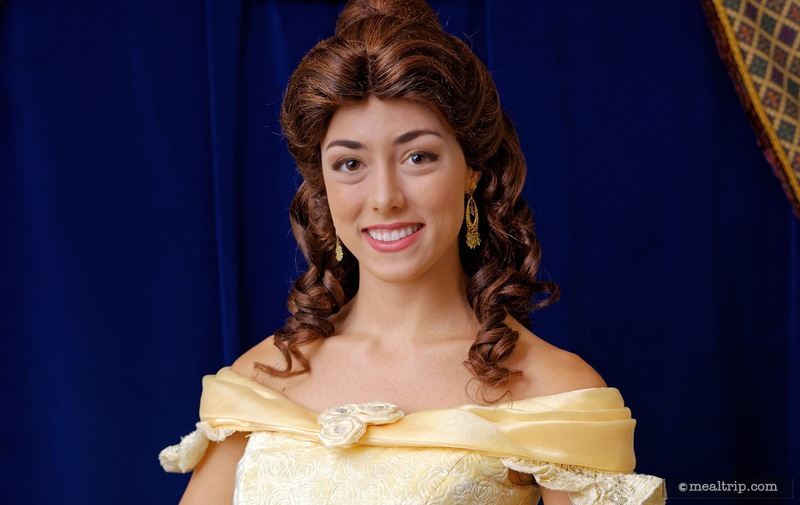 Belle from Beauty and the Beast is usually the first princess you meet for a photo opportunity before entering the dining area. A photopass photographer is on hand, or you can use your own camera. 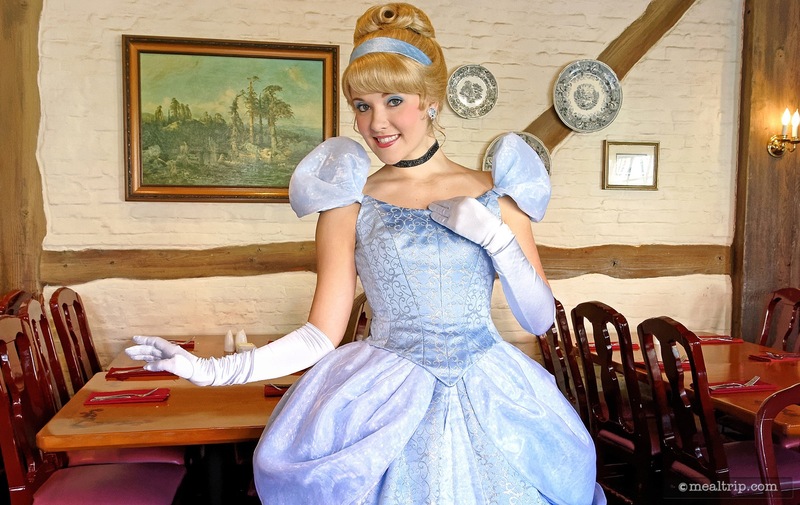 Princess Aurora visits each table during breakfast at Epcot's Akershus Royal Hall located in the Norway Pavilion. 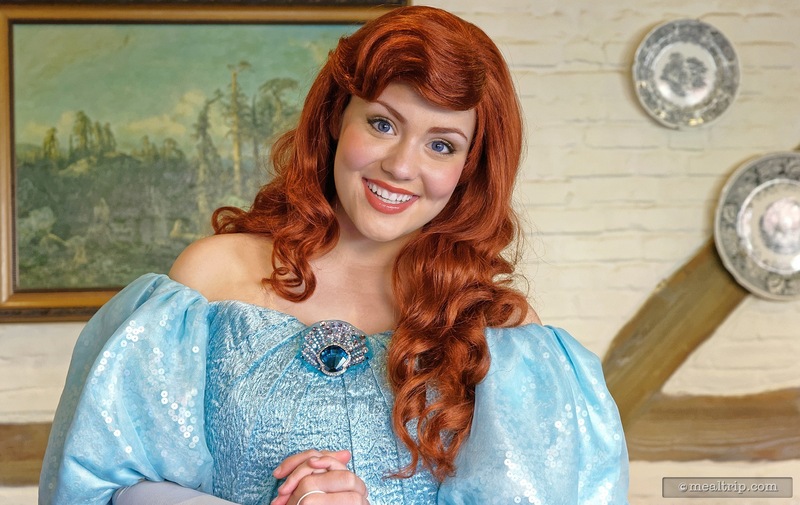 Ariel from the Little Mermaid has found her feet for the Akershus breakfast meet and greet. 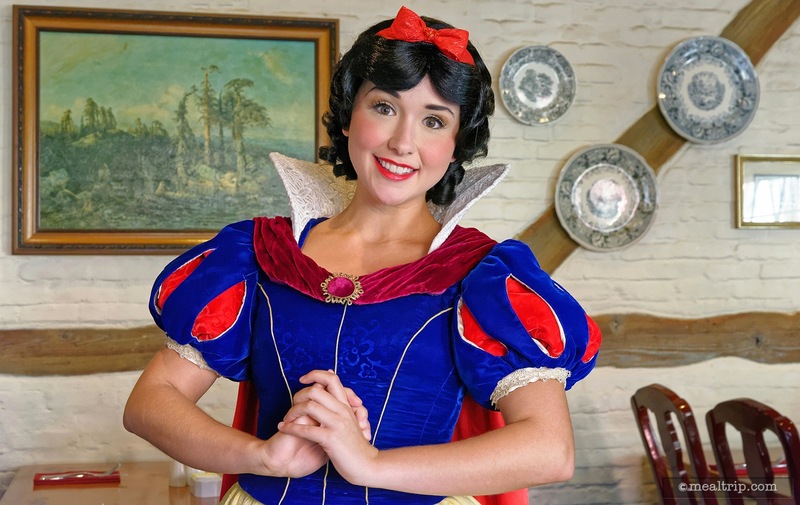 Snow White makes her rounds to visit with each table and chat during the Akershus character breakfast. 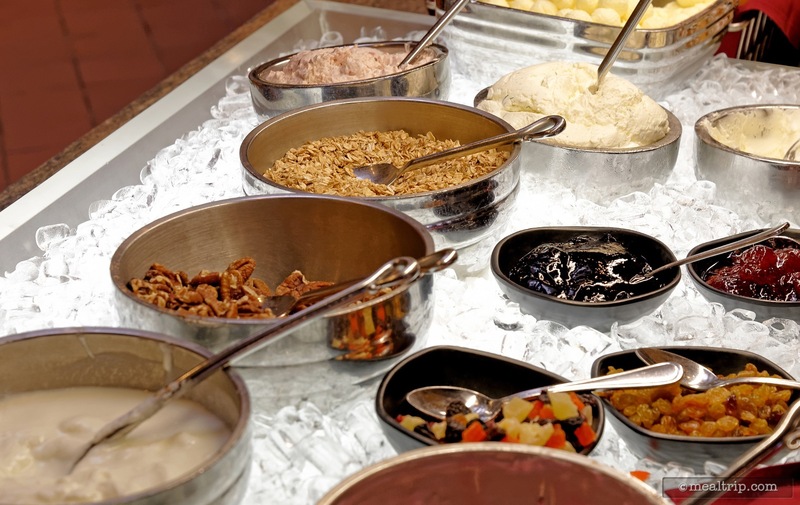 At Akershus' breakfast buffet, you will find an assortment of yogurt and toppings including fresh granola along with fresh and dried diced fruit. There are four "iced" tables like the one pictured here in the dining hall, but two of the tables are identical, to keep the lines short. 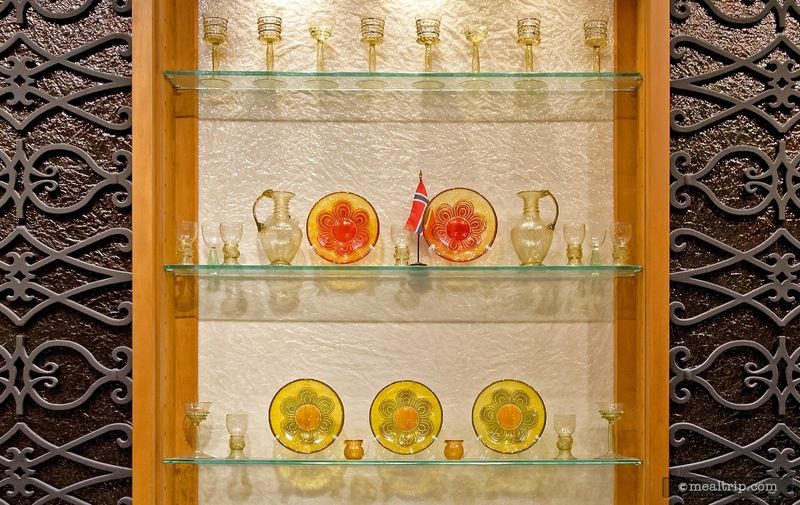 Here, some of the more "Norwegian authentic" items are pictured. 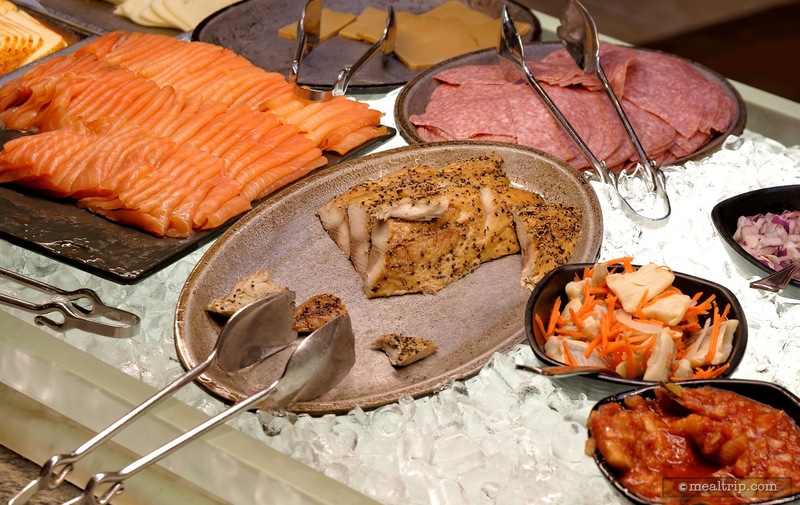 One of the more Norwegian items on the Akershus breakfast buffet line is this Peppered Mackerel, along with a few unique toppings. 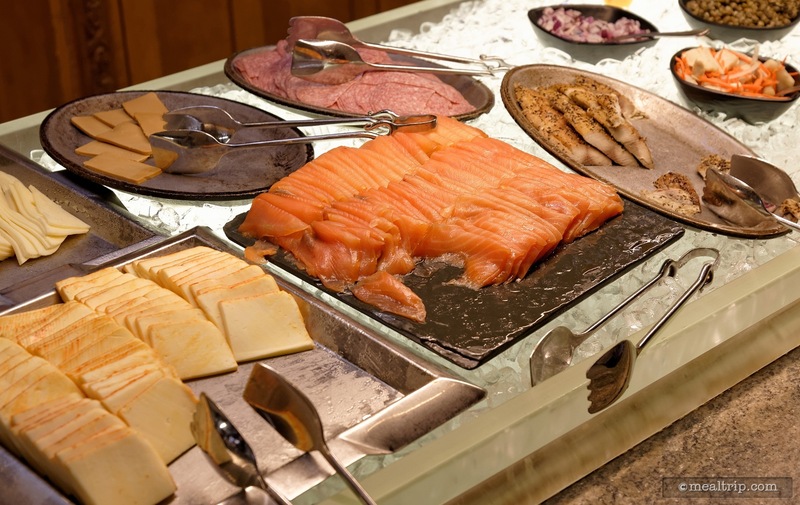 A smoked salmon is available, along with a few unique cheeses, such as the Jalsburg Cheese, Gjetost Goat Cheese, and a Muenster Cheese. 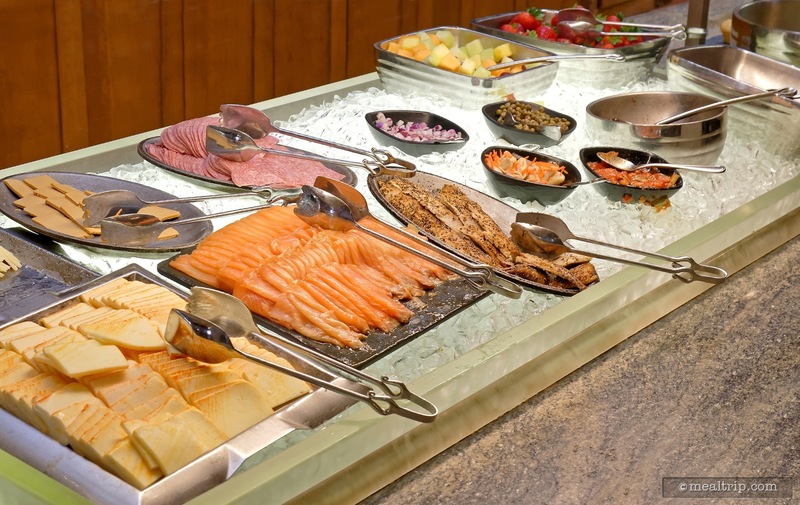 This is another look at the Norwegian offerings at Akershus' breakfast, along with some fresh cut fruit and whole strawberries at the end of the iced table. 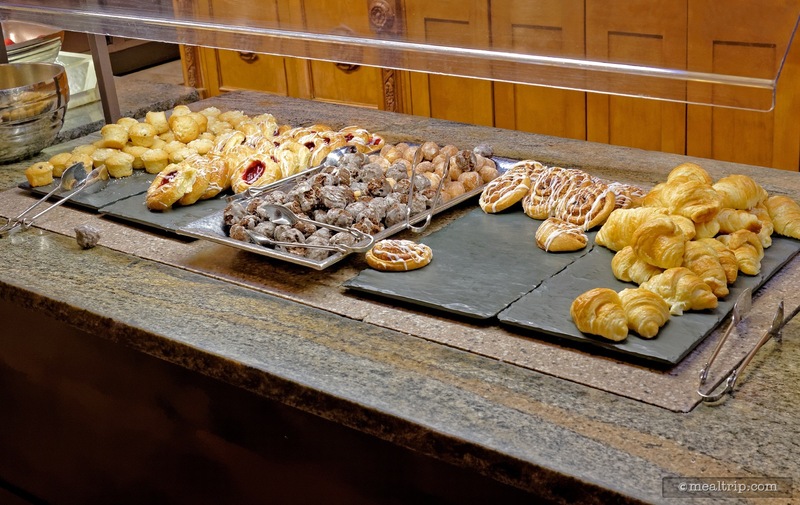 A few more baked goods at the Akershus breakfast. 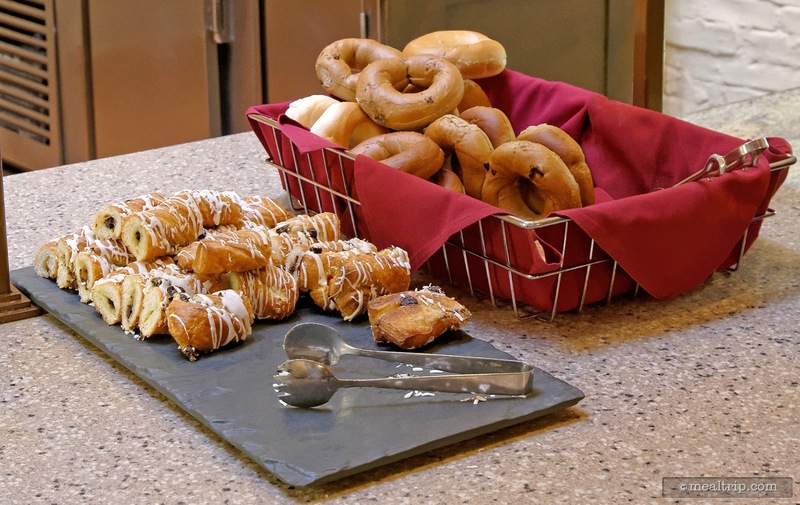 Pictured here are some cinnamon rolls and a bagel basket. Cream cheese and topping are kept cold in the nearby iced table. 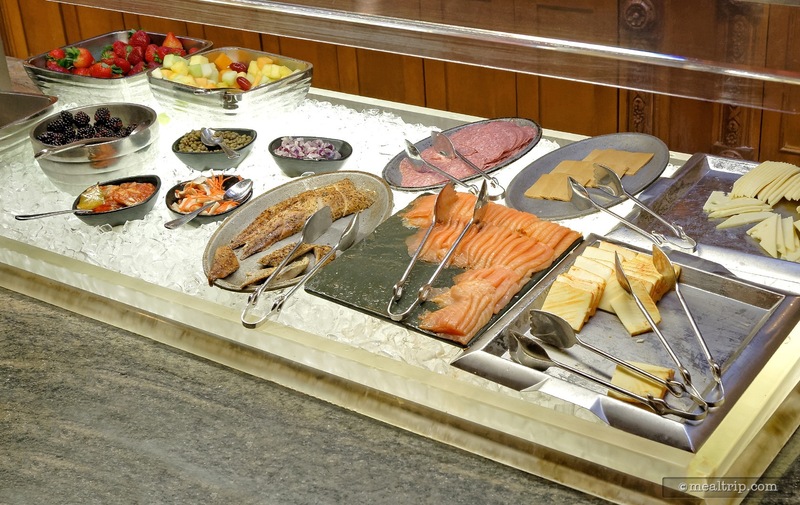 Behind the buffet tables at Akershus, there is a really unique open breakfront type of display that houses some Norwegian themed plateware.